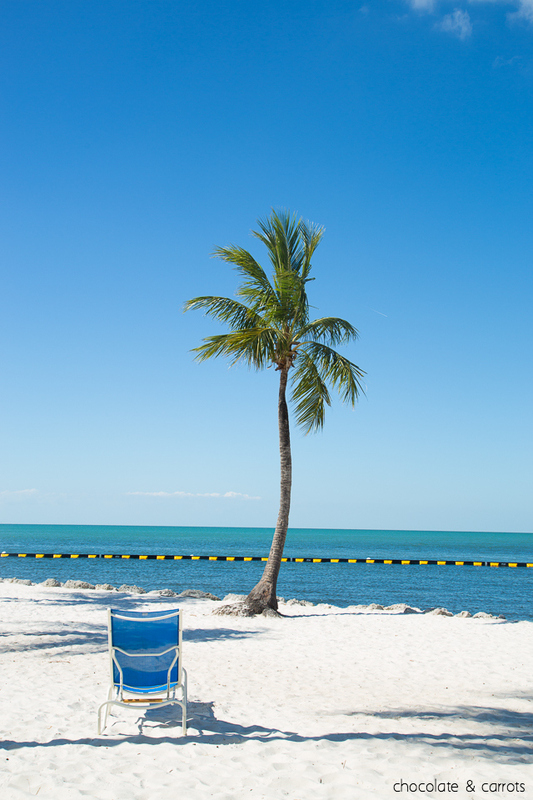 A vacation to the Florida Keys has always been on our bucket list. 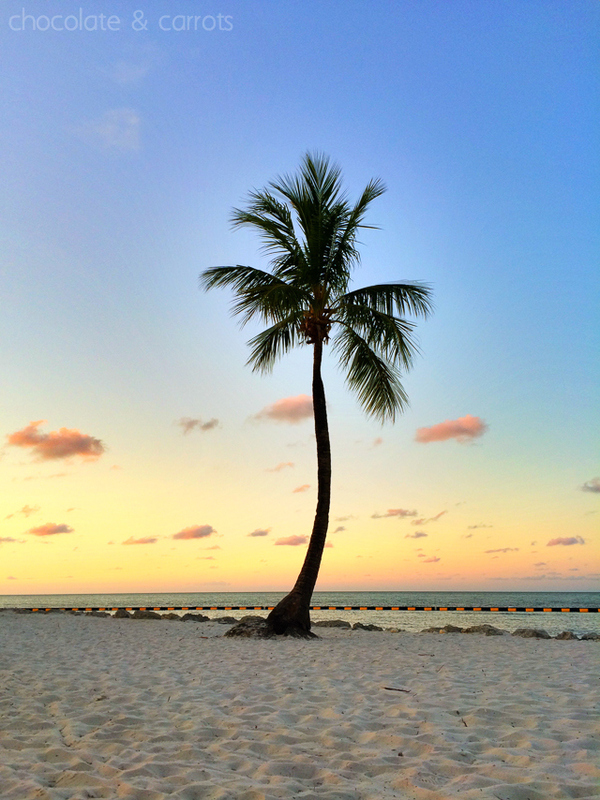 I searched high and low for hotels and bed & breakfasts along the 110 mile stretch of islands. Since we were driving all the way from South Carolina and wanted to spend the week exploring the keys, I chose to stay at a key that was about in the middle, which would be the city of Marathon. 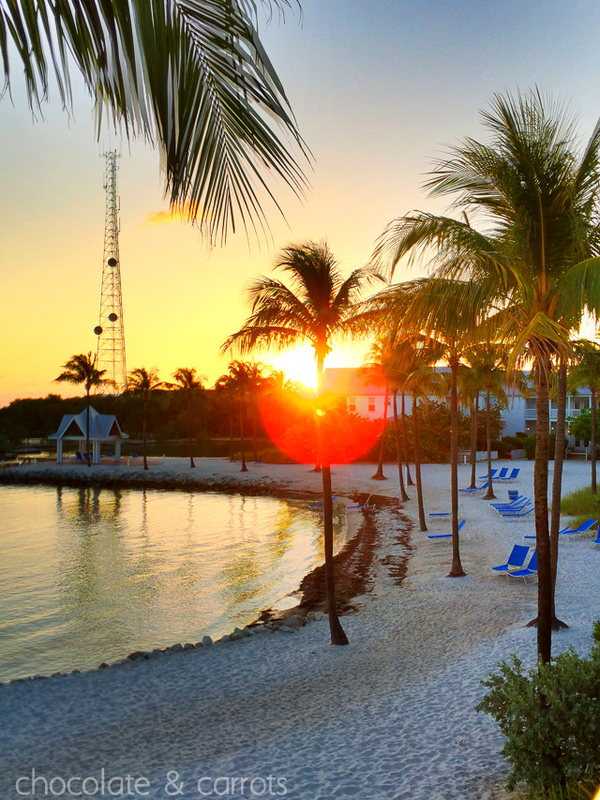 After debating between just a couple of hotels on Marathon, we settled on Tranquility Bay Beachfront Hotel & Resort. 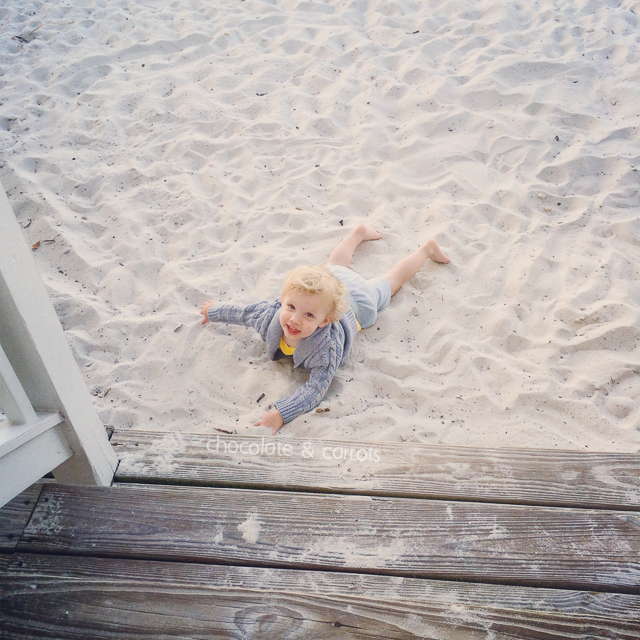 We settled on the Two Bedroom Beachfront Beach House since it was on the beach, had a separate bedroom for our toddler to sleep while we had alone time and a full kitchen, to allow us to save some money and calories on food. Let me take you on a tour! 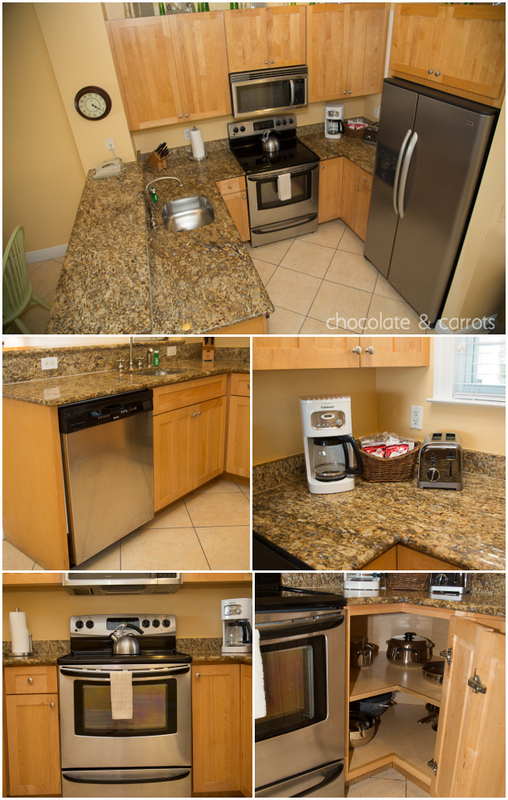 The kitchen had all the accommodations of your standard kitchen at home, complete with sink, dishwasher, stove, oven, microwave, full fridge, coffee maker (and coffee! ), toaster, dishes, silverware, glassware, knives, can opener, tea kettle, pots, pans, dish soap, dishwasher detergent, paper towels, dish towels, etc. Everything I needed to make healthy dishes for my family. Complete with dining room, television, couch, chairs and even a half bathroom downstairs. 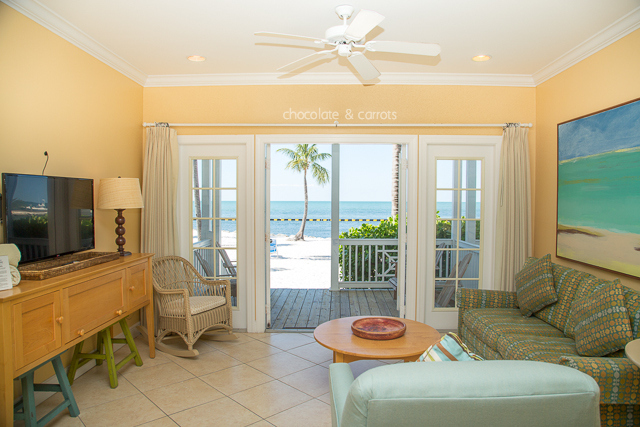 Right off of the living room is the deck that leads directly to the sandy beach. 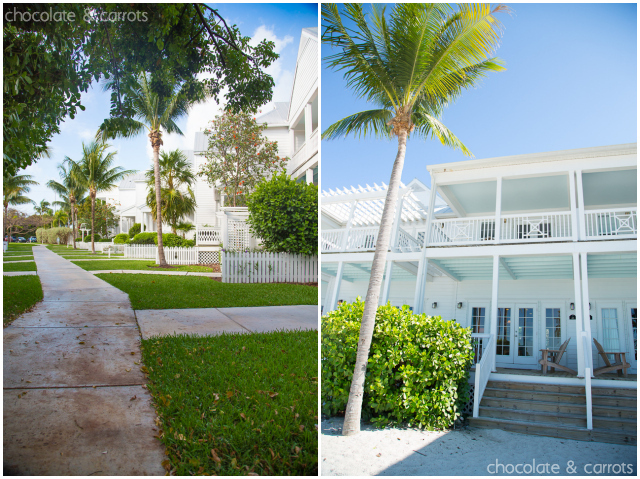 The photo below on the left is of the sidewalk and garden view on your walk to the beachfront beach houses. The beach houses that you pass on your way there are the waterview beach houses…and by waterview, I mean an ever so slight waterview. 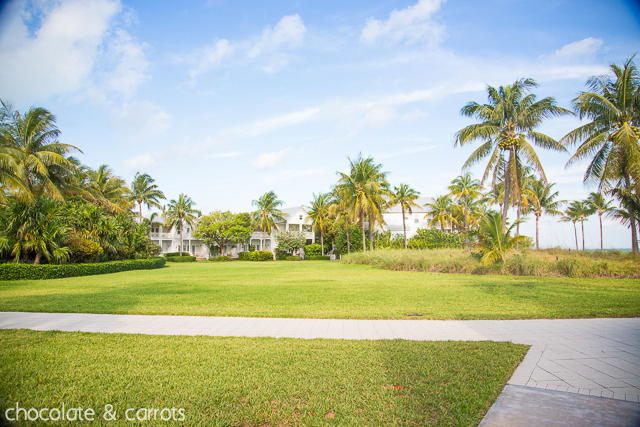 It’s more of a view of the gardens and other beach houses with a sliver of waterview. 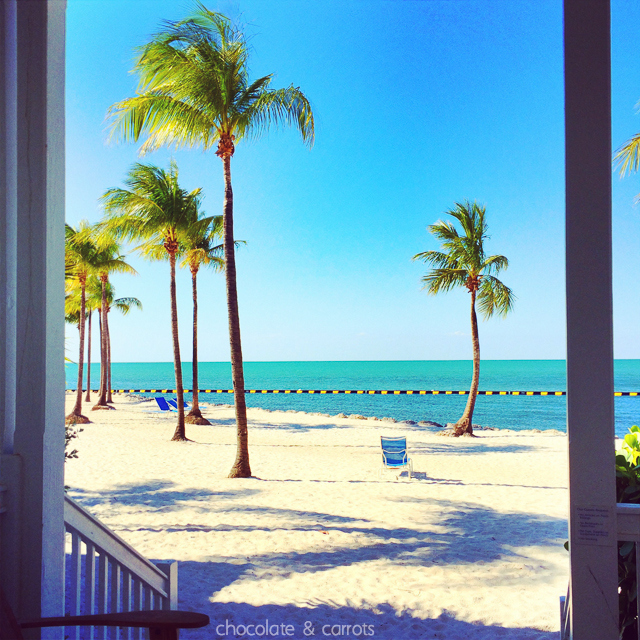 The photo below on the right is the back door of our two story beachfront beach house that faces the beach and water. There’s an upstairs balcony off the master and the bottom deck is right off of the living room. There were two twin beds in the second bedroom, complete with a closet with a full washer and dryer (and laundry detergent), another closet for clothing and a safe, television and dresser. The bedroom also had a balcony with a view of the gardens, sidewalks and other beach houses. Equipped with a king size bed, closet, on-suite (modest) master bathroom, dresser, television and private balcony/deck with beach/ocean views. There was a lovely pool surrounded by gardens filled with iguanas and tropical plants. The deepest part was about 5 feet deep and there was also a beach section of the pool where it gently slopes down into the pool (perfect for children!). There was also a separate pool specifically for adults only on the other side of the resort. And as you can see, we were the only ones at the pool! 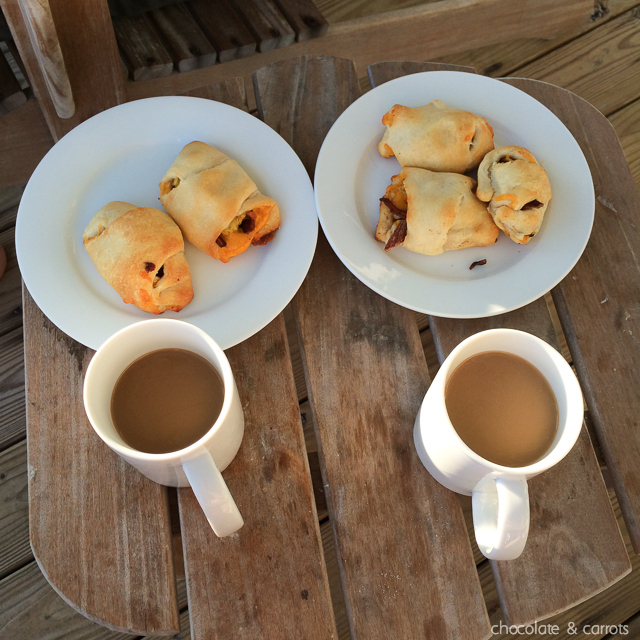 During our stay at Tranquility, I utilized the Publix down the road and the gourmet kitchen in our beach house. Here’s a glimpse at what I made! Gourmet Salad with sautéed carrots and mushrooms – I sautéed the vegetables in the salad dressing since it already had oil. That way, I didn’t have to purchase oil, too. 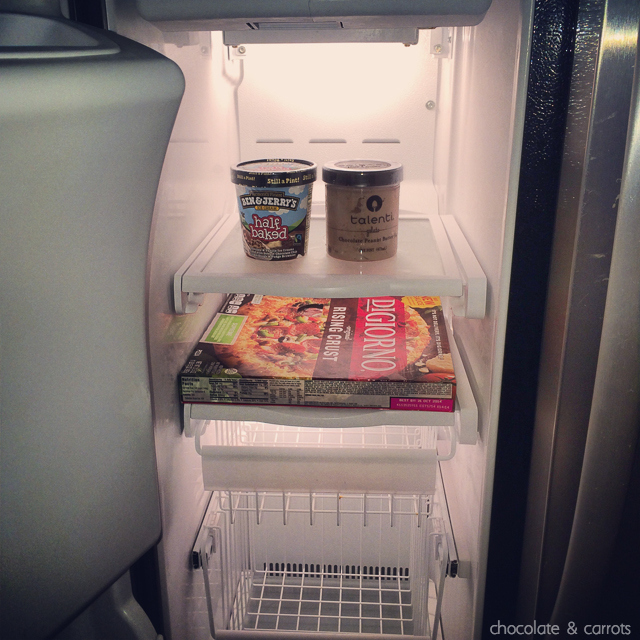 Pizza and Ice Cream – of course! 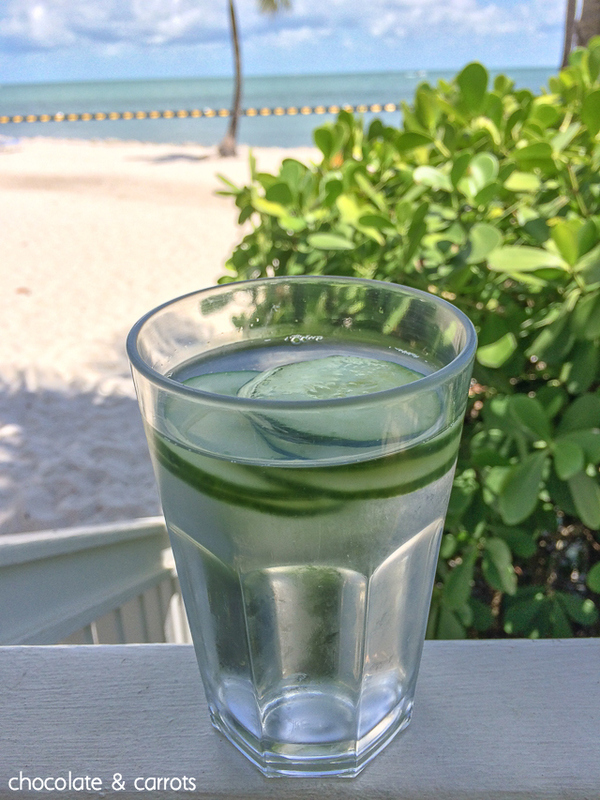 Cucumber Water – So that I felt fancy without paying the price! 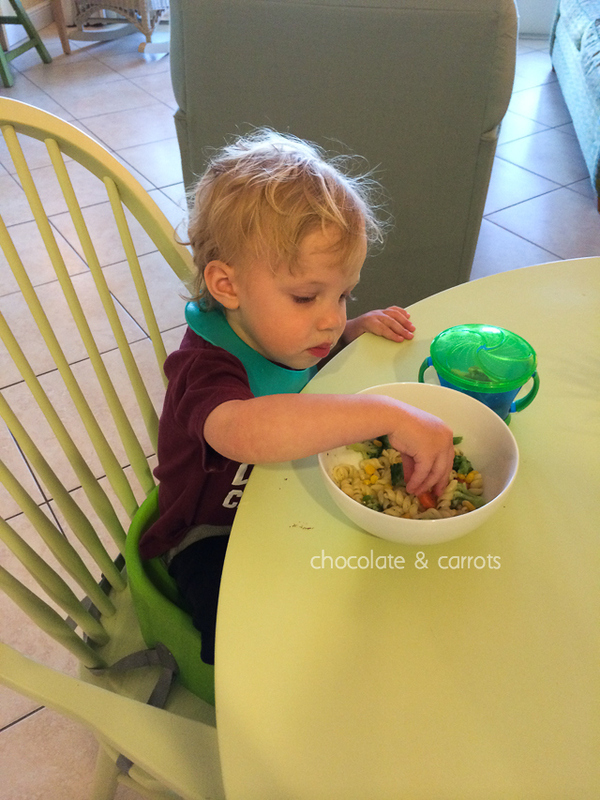 Frozen Vegetable and Noodle dish for the little guy. 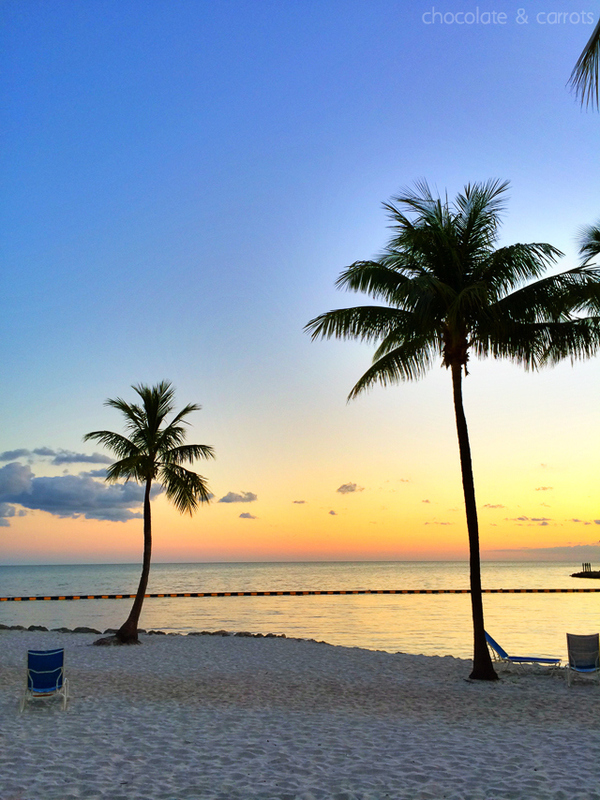 We had a blast at Tranquility Bay Resort! 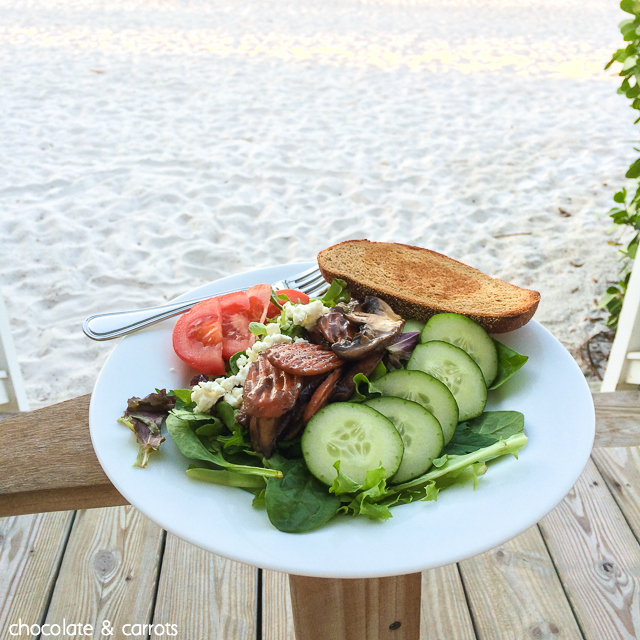 I made all of our meals in our kitchen and we enjoyed hanging out by the beach and pool. 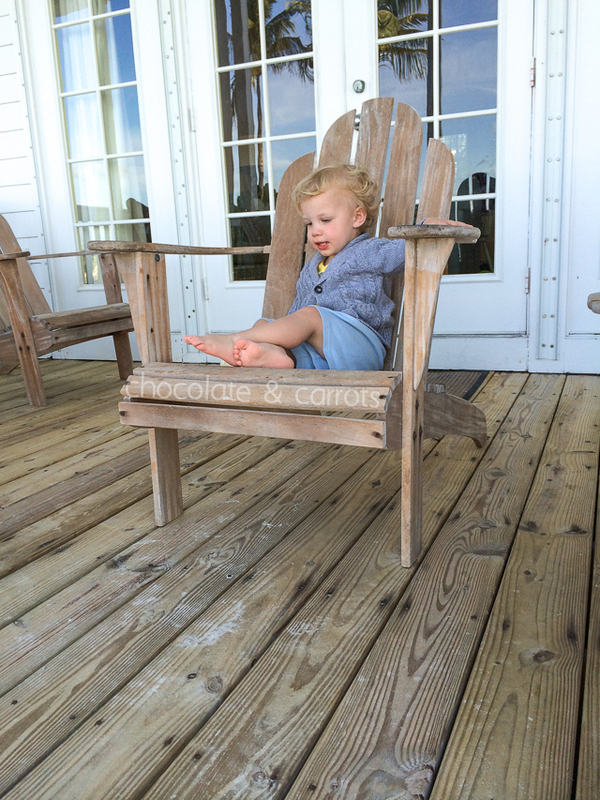 Liam specifically loved playing in the sand at the end of our deck. 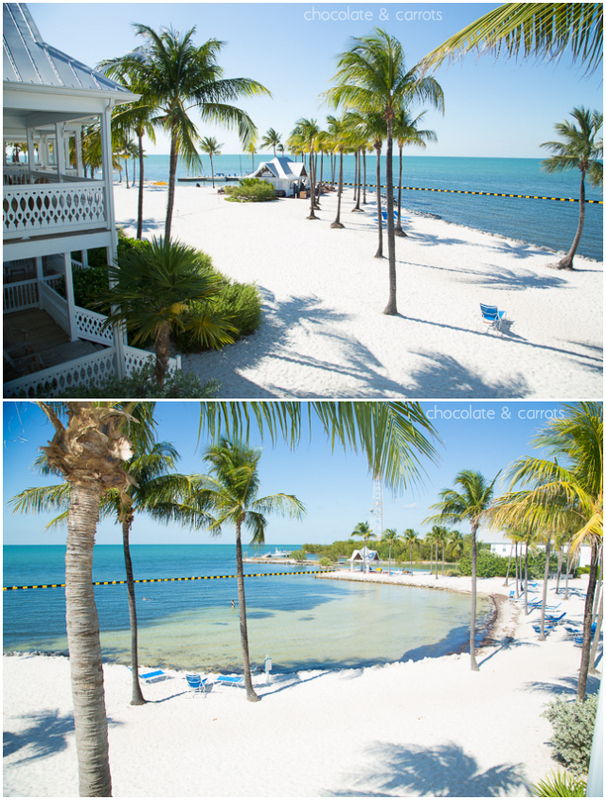 During the days we explored the Florida Keys and would come back in the afternoons for naptime and relaxing time. 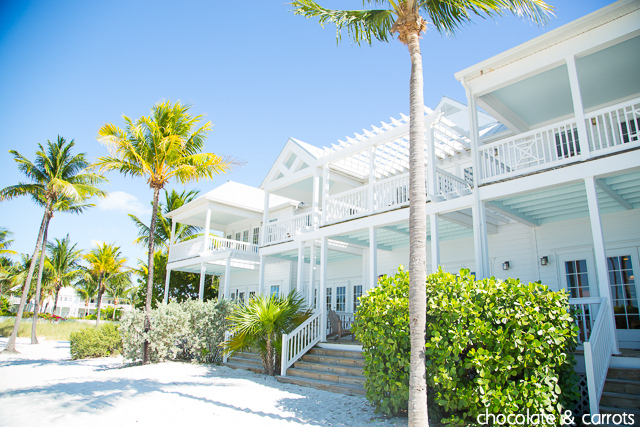 The resort was a great middle ground for exploring all of the keys. 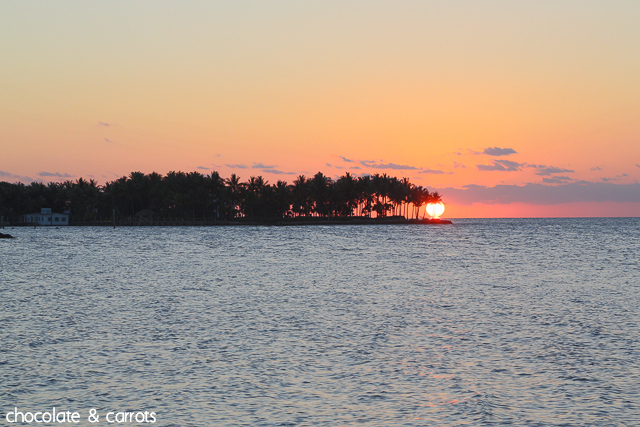 It was an hour to Key West and an hour to Key Largo, either end of the keys. There was also a Publix less than a mile away from the resort to help us stock our kitchen! The sunset views were stunning and the colors of the sunrise were also beautiful. 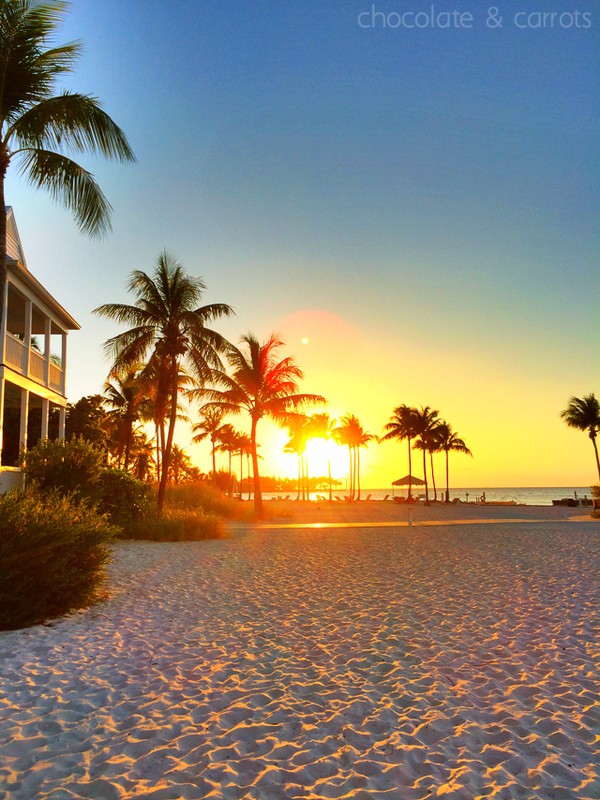 This is a great resort for couples or families and is great for spending your entire vacation just at the hotel or great for exploring the keys! You can’t go wrong. I did not receive compensation for this post and all opinions are my own. I paid for this out of my own pocket. 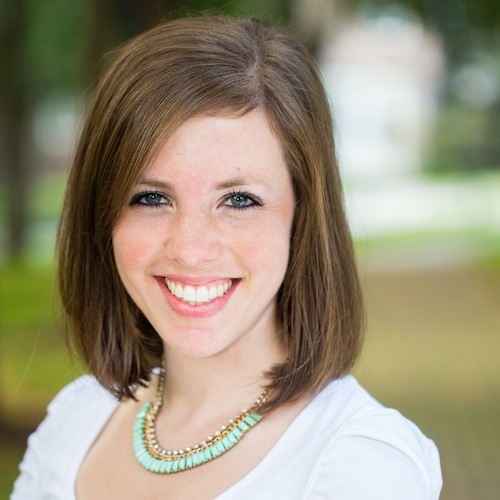 I just wanted to share about our vacation in hopes to help you plan your next vacation! The whole area looks lovely. Quick question, is there much privacy between beach houses? I noticed there are no screens or partitions on the upper decks between houses where the bedrooms are. Is there enough privacy? I thought there was plenty of privacy. We were there at the beginning of May and it didn’t seem to be crowded at all. We occasionally saw people out on their decks, but never right next to us. Everyone was quiet and respectful of one another (which is often rare at a resort) and we didn’t think for once that we didn’t have enough privacy on our deck and balcony. Great question! I am overwhelmed with the photos of what looks like a slice of heaven. Why go to Turks and whatever, when a place like this exists! I wish you could have a give-away weekend here and with the food you make too. Oh, how nice! It was the perfect location! Love your pictures and I’ve been blessed to have vacationed there twice in the last three years. We stayed both times in the first two weeks of August. It’s very private and quiet. How is the beach can you swim in the ocean? This is my number one thing! Yes, you can swim and while the beach is small it’s still swim-able. The only thing that I wasn’t a fan of (as with all beaches on the Keys) was the seaweed at the shoreline that you had to wade through. Happy Traveling!